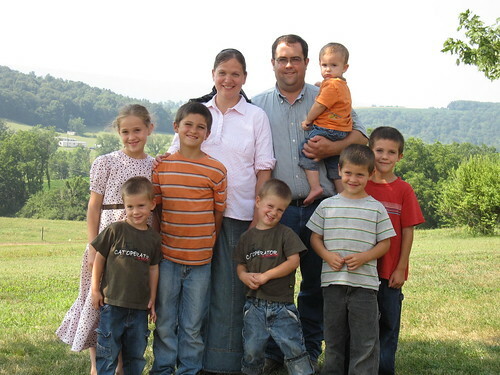 The Weaver Family: Marlin and Darla with their kids: Eric, Emily, Zachary, Joshua, twins Jonathan & Caleb, Jacob and one on the way! Would you leave your office job for a life working on a farm? Two years ago, that’s exactly what Marlin Weaver did and it changed his life. Though his wife grew up on a farm, Marlin was new to farming. He was, however, very passionate about food – especially sustainability and how food is raised. So when he and his wife had the opportunity to take over his wife’s family farm, he left his suit and tie lifestyle for a more rural one. For him, the change meant he could happily work together with his family everyday raising chickens that he felt were the best quality for his family (and yours!). 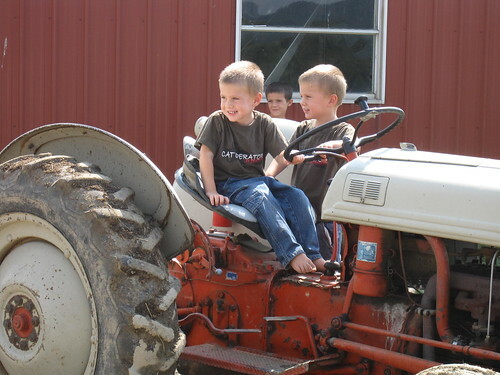 Twins Jonathan & Caleb love helping out their father on the farm! Marlin and his kids like to feed the Heritage chickens an all-vegetable diet. None of their chickens are given hormones nor antibiotics. After all, Marlin and Darla try to feed their kids natural, organic and unprocessed foods. They would only provide your family foods good enough to serve their family! So what does Marlin and his family like to eat? (Getting up at 4AM and working on the farm means that there are plenty of healthy appetites to go around!) Darla makes meals (and sometimes ingredients like flour) from scratch. Of course they love Heritage chicken – Marlin had a portable smokehouse that made excellent BBQ chicken. Heritage chicken also have a rich flavor that’s enhanced when you roast it to get a nice crispy skin. Grilled foods are always a hit too with the family. And surprisingly, the Weaver kids love sushi too (though Marlin admits it’s a luxury since seafood, unlike eggs, isn’t easy to find on the farm). Check out the Heritage chickens that the Weaver family have raised and let us know what’s your favorite chicken recipe on the FreshDirect Facebook page or via Twitter.